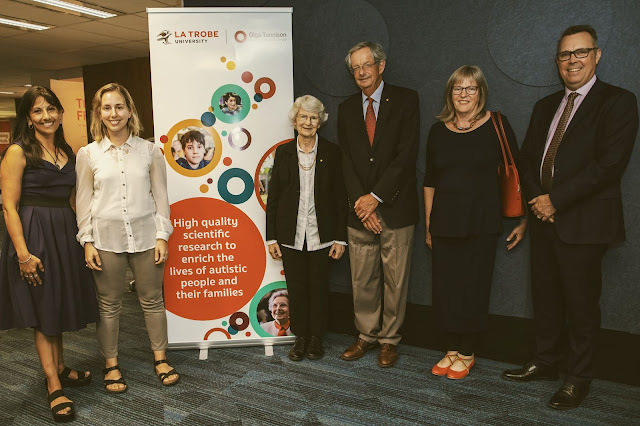 La Trobe University Representatives attend the Olga Tennison Autism Research Centre Strategic Plan Launch on January 31 2019. The new strategic plan strives, in part, to increase Autistic representation in academia and research. Pictured L-R: OTARC Director Professor Cheryl Dissanayake, PhD Candidate Beth Radulski, Chair & Former Chancellor Sylvia Walton, Chancellor Richard Larkin, Strategic Planner Jan Ferguson, and Vice-Chancellor John Dewar. Photo courtesy of La Trobe University. On 17 August 2016, La Trobe staff and students gathered in the campus Agora to protest the impending deportation of PhD candidate Sarmin Sayeed, whose family was declined Australian Permanent Residency. The reason: Their son’s Autism status. Sayeed’s visa denial exemplifies the Medical Model of disability, which understands Autism as a disease and developmental disorder—a barrier to ‘normal’ functioning. Fortunately, following public outcry over disability discrimination, Sayeed’s family was granted their visa, and allowed to stay. I attended this protest as a proud La Trobe student and immigrant myself. I was also there (in secret) as an Autistic person. Nearly three years on, I am proudly ‘out’ as Autistic, and conducting a PhD exploring the overt socio-political and economic discrimination experienced by many Autistic people, alongside the social drivers which lead many of us to conceal our Autism status. Situated within the Social Model of disability, my PhD aligns with the Neurodiversity Movement. Put simply (and this is a surprisingly controversial idea): I do not believe that Autistic people are biologically or medically inferior to Neurotypical (non-Autistic) people. I argue that Autism is a form of human diversity disabled not by inherent inferiority, but rather external socio-political oppression. Interestingly, Autism emerged as an identity category partly during World War II-era human studies conducted by Hans Asperger, an Austrian clinician who, despite documented links to Nazism, disconcertingly remains Autism’s colloquial namesake. We needn’t scour the history books to find further remnants of this ideology lingering in Autism discourse. An #EndAutismNow campaign in 2018 highlights the ongoing popularity of ‘causes and cures’ and ‘epidemic’ mentalities, which remain pervasive in the public imaginary despite the recent decline in their usage in medical research. Accordingly, many Autistic people now prefer to use ‘Identity-First’ language (Autistic person) rather than ‘Person-First’ language (person with Autism) as the latter further socially entrenches Autism’s pathologisation. I certainly exhibit some ‘high-functioning’ stereotypes: I am an academic, considered ‘gifted', and my many quirks include exceptional memory, encyclopaedic interests, an affinity for systematising, and synaesthesia. Synaesthesia refers to processing sensory stimuli with a ‘mismatched’ sense. 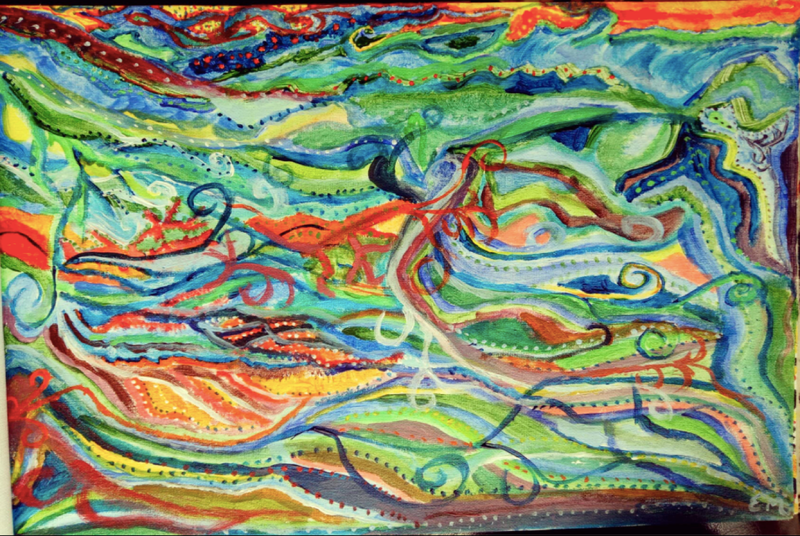 I am able to paint music (pictured above) as I ‘see’ songs as colourful visualisations; conversely, I can also ‘hear’ symphonic music when processing certain kinaesthetic stimuli. Image courtesy of Beth Radulski. However, I also stim (pace, rock, and flap my fingers), have dyscalculia, struggle with non-verbal social cues, and experience sensory sensitivities and difficulty verbalising in overstimulating situations. I pass as Neurotypical not because I am ‘high-functioning’ or ‘mildly’ Autistic but because I’ve painstakingly learnt that socioeconomic survival entails sacrificing my internal functionality to outwardly appear functional. I work relentlessly to avoid being read as Other: I grind my teeth to appear still, smile through sensory pain, and arduously deconstruct every social interaction. Masking is physically, emotionally, and intellectually exhausting but suffering in silence often seems far preferable to the alternative. I know all too well the social consequences of finger-flapping, using the wrong facial expression or tone of voice, or failing to achieve appropriate eye contact. Autistic people suffer exorbitant rates of underemployment, bullying, social isolation, OCD, anxiety, and suicidality. A distinct generational trauma is emerging from our attempted eradication during the cure/epidemic era, and the insidious internalisation of this discourse continues to corrode many Autistic people from within. As a result, our staggeringly diminished life expectancy is only 36-years-old. At just 29-years-old myself, I’m outraged to be approaching my statistical twilight years. My thesis questions whether masking constitutes the process through which Autistic people perform the privileged traits and oppressive norms of Neurotypicality, an assimilatory act reflective of socioeconomic and political marginalisation. I’ve recently begun the journey of unmasking and authenticating my public identity as an Autistic person. I am proud to be the first openly Autistic Autism researcher at the Olga Tennison Autism Research Centre. The next frontier for Autism research is to normalise the same expectation of self-representation currently exhibited in fields including gender, critical race, and postcolonial studies. La Trobe University is among the first worldwide to pioneer this ideal, with OTARC’s new strategic plan including a Sylvia Walton Honours Scholarship aimed specifically at increasing Autistic representation. My colleagues, alongside my wonderful supervisors Dr. Katie Wright and Professor Cheryl Dissanayake, demonstrate remarkable effervescence in facilitating genuine inclusivity. My days of suffering in fear and silence are dwindling. 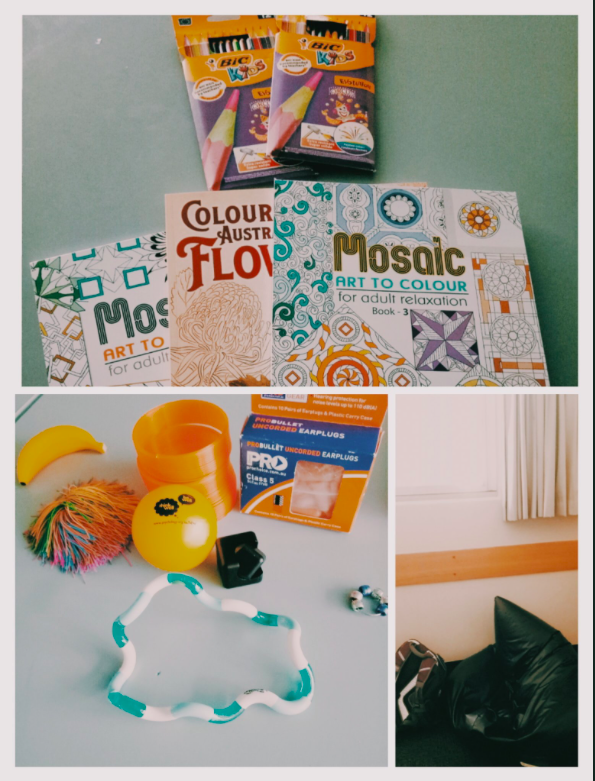 I now proudly tote stim toys into staff seminars, and shamelessly tout the suitability of Autistic skillsets in academia to anyone who will listen. I’m immensely grateful to work at an institution which recognises the value of representative research—stim toys and all. Elizabeth Radulski is an Autism autoethnographer and sociologist, and a strong proponent of increasing Autistic representation in academia. She has been teaching undergraduates at La Trobe University since 2017, and was recently appointed to the Executive Committee of the Australasian Society for Autism Research. 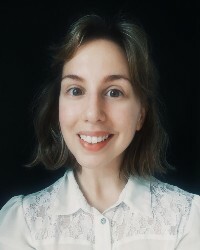 After completing a Bachelor of Arts (International Development) and First-Class Dual-Honours degree (Sociology, and Gender, Sexuality, & Diversity Studies), Elizabeth is now incorporating these sociological skillsets into a PhD on Autism. 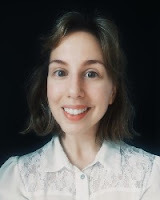 Her research explores Autism activism within the Neurodiversity movement, and questions whether the prevalence of ‘masking’(the active concealment of Autistic traits with Neurotypical behaviours) reflects the assimilatory oppression of Autistic people. This blog focuses on research experiences and insights, strategies for tackling research and being productive, and better ways to do research. The blog is managed by the Graduate Research School's Research Education and Development (RED) team, La Trobe University, Australia.